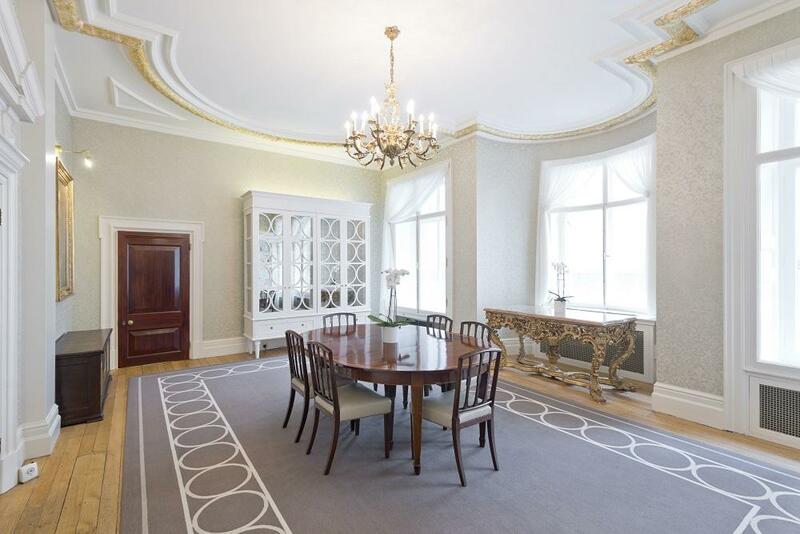 One Moorgate Place is a beautiful Grade II listed building which is packed with original features. 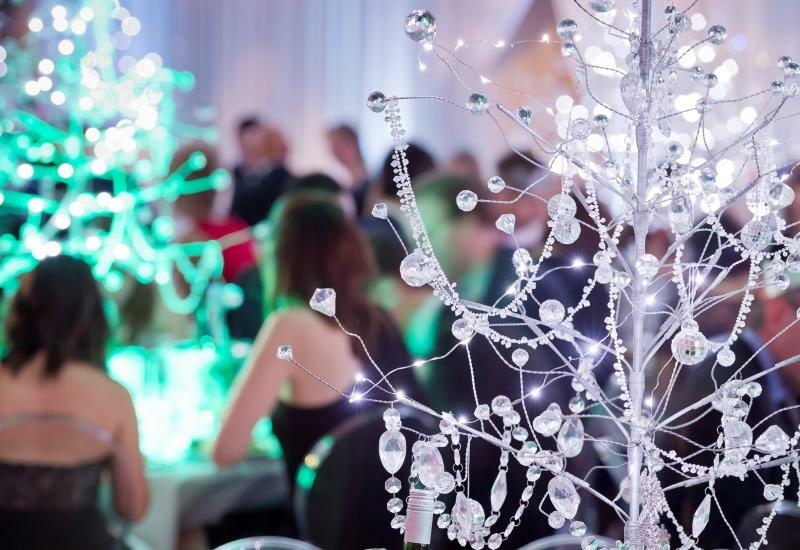 We offer high-spec conferencing facilities, modern spacious meeting rooms and a range of elegant spaces for private dining and events. The building was designed by Victorian architect Sir John Belcher RA and built in 1890. The exterior features a carved stone frieze by Hamo Thorneycroft and the interior includes works of art by Eduardo Paolozzi, Gerald Benney and John Piper. 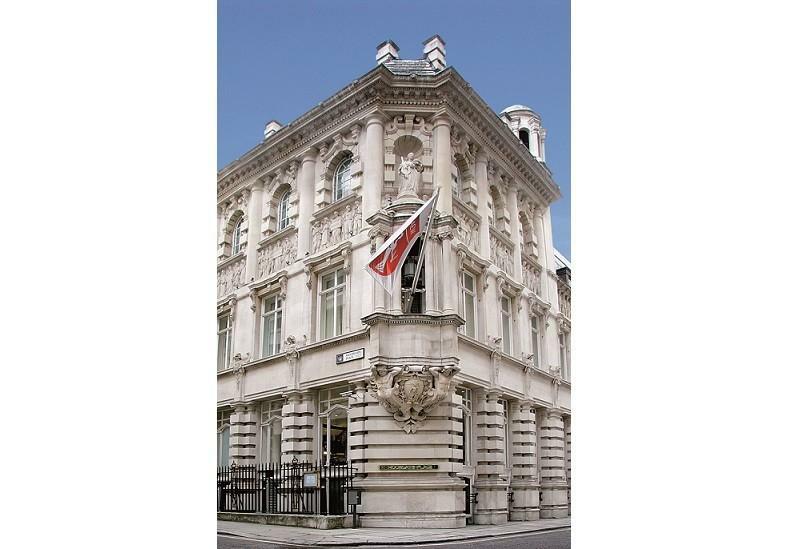 The building is also known as Chartered Accountants’ Hall and is headquarters to ICAEW. 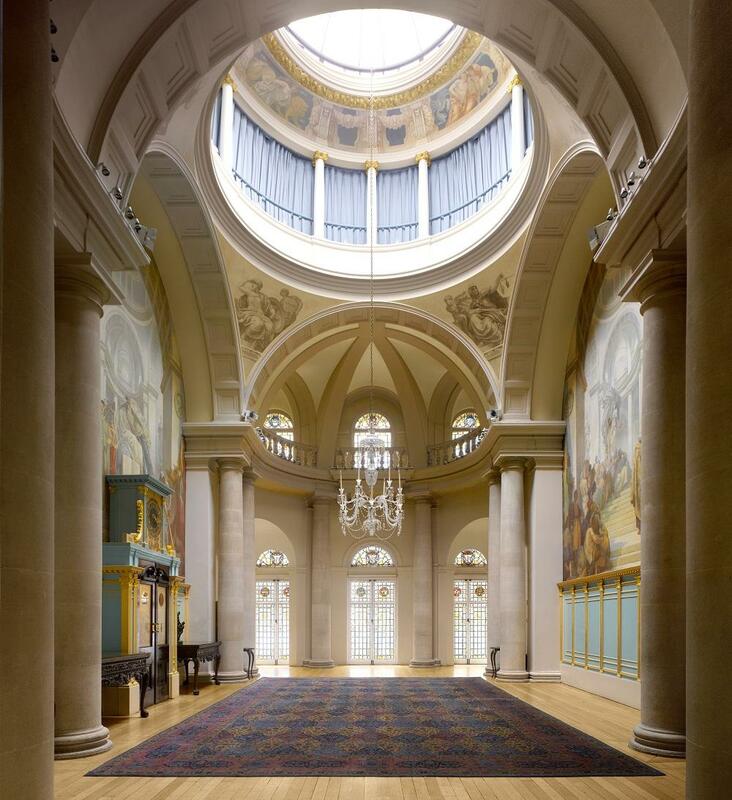 This domed room is the focal point of the building. Light streams through stained glass windows onto striking murals by George Murray. 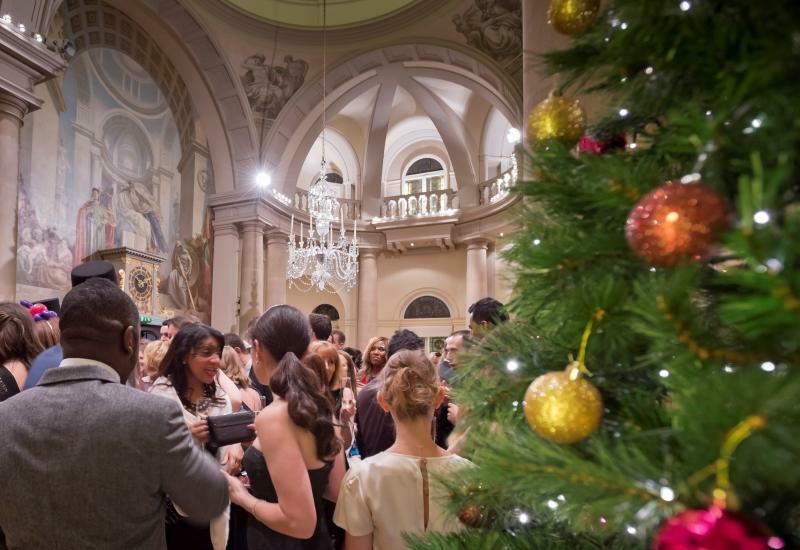 With impressive stone columns and handsome chandelier, this is a stunning venue for any event. 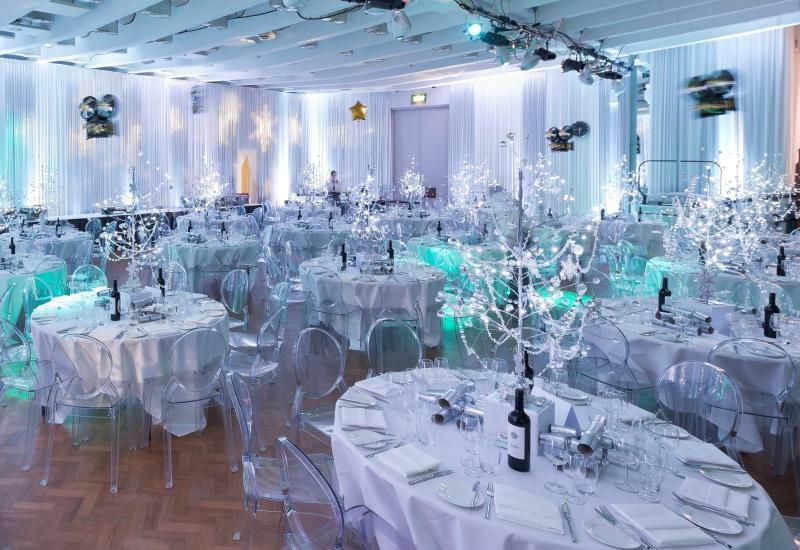 Our largest room provides spacious, air-conditioned accommodation, perfect for a dinner dance, conference or presentation. It offers a sophisticated audio-visual system, including a new 11 metre wide projection screen. 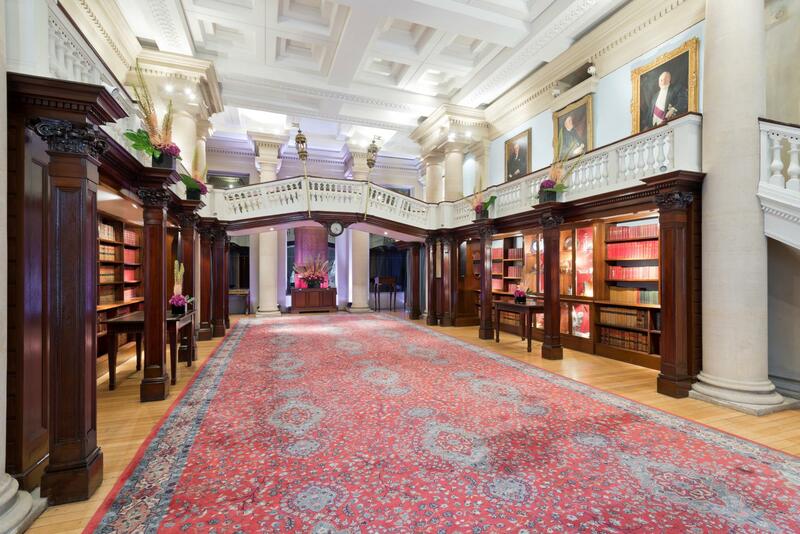 This fascinating room is always a talking point at events. 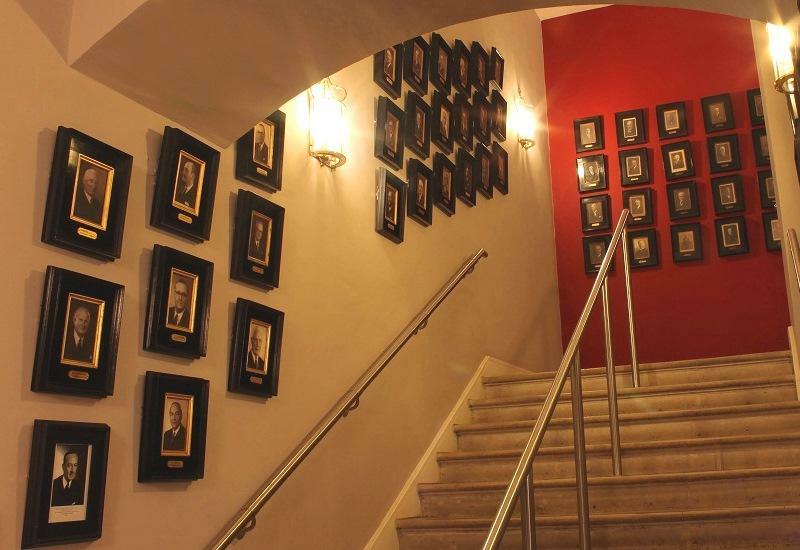 It features a balustrade bridge designed in the style of the Rialto Bridge in Venice, together with a portrait gallery and display cabinets full of rare books and other curiosities. These nine elegant rooms are perfect for meetings and presentations. Each room is well-equipped and comfortable, with lots of natural light. WiFi, video conferencing, satellite TV and presentation screens are available. Our smaller reception room is richly decorated and provides an intimate setting for private dining, a drinks reception or meeting. This bright space features a beautiful bronze fireplace and elegant 18th and 19th-century furnishings. 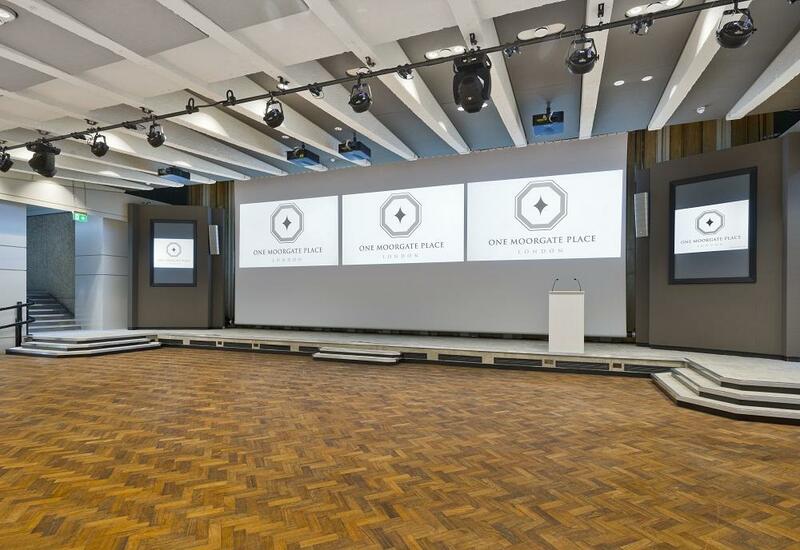 The traditional Council Chamber is currently being refurbished to become a fresh, modern new space at One Moorgate Place. The interior will boast a contemporary finish with natural daylight. However, blackout blinds will provide privacy if you need it and will accommodate any flash photography. 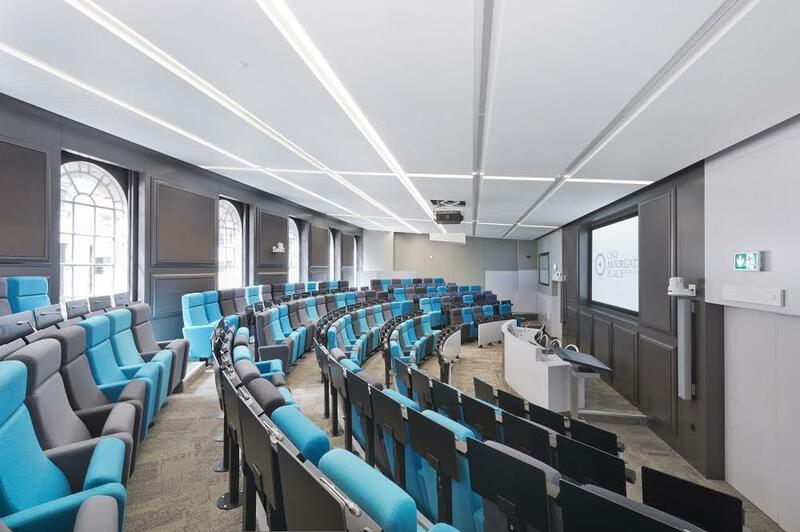 This exciting new development is equipped with top-of-the-range technical facilities to support a whole range of events, from debates and lectures to conferences and media presentations. This new space works perfectly in conjunction with the new Atrium if you also require space for a drinks reception and networking. The Boardroom provides the perfect setting for larger meetings. Accommodating up to 24 people, it is a comfortable and spacious environment benefiting from natural daylight. The Boardroom works perfectly for larger meetings, presentations and training. 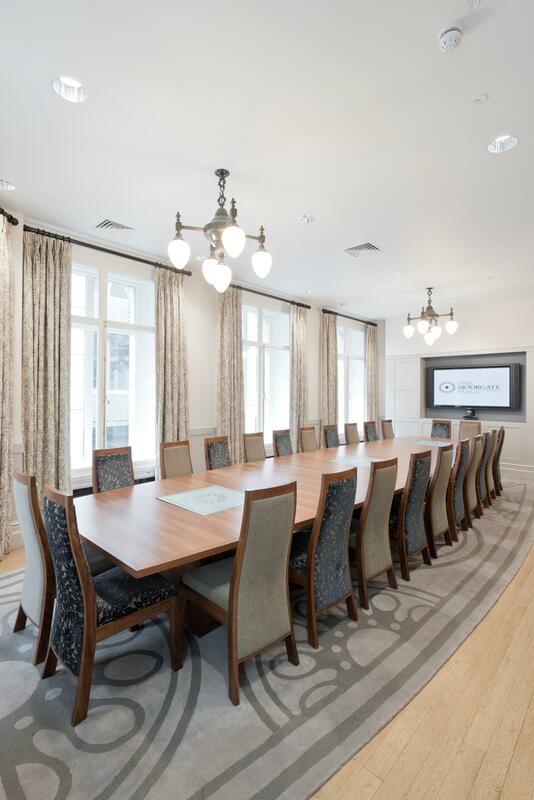 One Moorgate Place has a suite of classic and modern meeting spaces. The large windows fill the rooms with natural daylight to create a bright and contemporary environment. 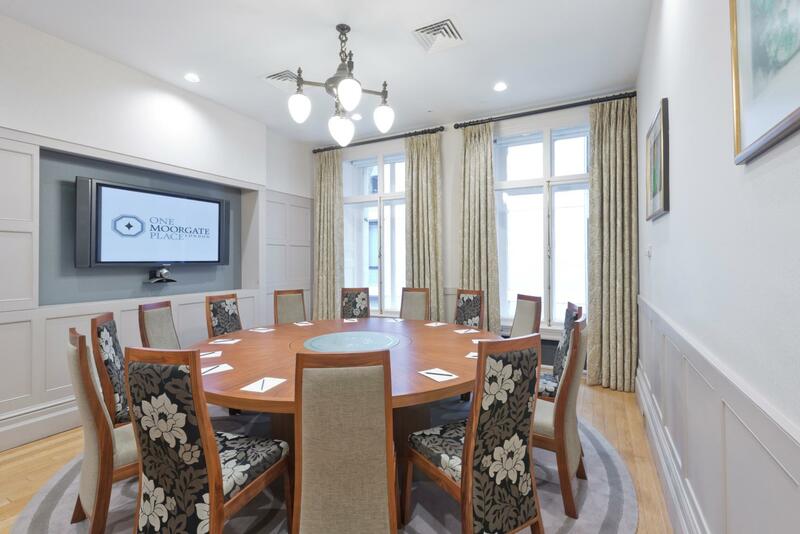 Whether you’re looking for an intimate room for a one-to-one interview or a large round table to conduct a board meeting, we have a room that will suit your needs. The range of meeting rooms on the fourth floor is adaptable to accommodate theatre, classroom and boardroom style-meetings. Popular uses for these rooms include webinars, seminars, presentations, business meetings or interviews. Superb catering staff. Very helpful and getting things done quite efficiently. 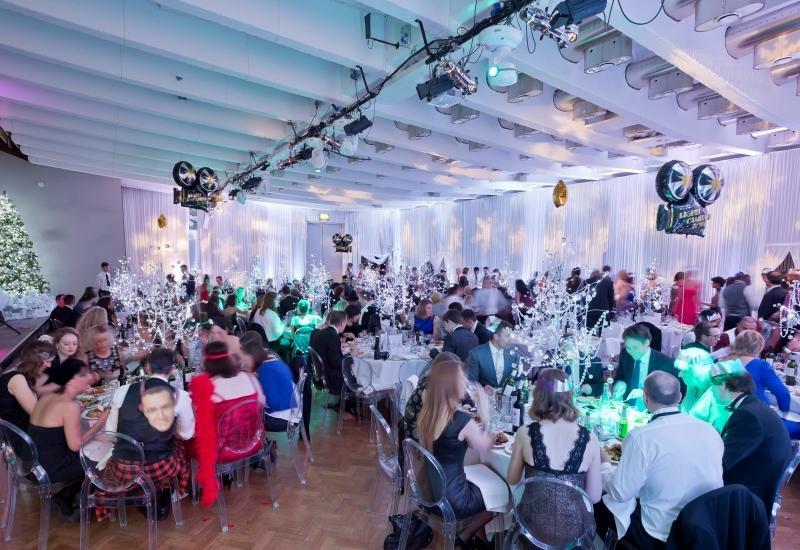 The events team and on site staff were an absolute pleasure to work with. They went above and beyond to accommodate our last minute requests where possible. The catering was fantastic and received many compliments from our guests. Richard, Hannah, Robert, Joe and staff was truly amazing. Made us feel so welcome and nothing was a problem. The venue was recommended by Sarah from Tagvenue. We had a fantastic presentation, the space was just right for a corporate meeting. Highly recommended!